I picked up the original scent in London as it's the only one that personally I find nice. The first thing I did notice about this is the sheer invisible formula is not in this one, this made me think that it may be more like Batiste now and could work for me! I do love the fragrance of the original scent and in my opinion it is the nicest one in the range. As I said it doesn't spray out invisible but just like Batiste it sprays out white into the hair. After spraying it and waiting a few seconds and then brushing it through my hair I will say 1) it looked clean (used on second day hair) and 2) the volume was crazy and I mean extreme! (duh) The only thing I will say that I didn't like was it almost made my hair stiff and if you were to brush your fingers through it or a brush it was painful. Kind of like you just back combed your hair. It does leave your hair feeling chalky but if you're using it for the volume you won't mind because it achieves a gorgeous amount of volume if you're after big hair! I do much rather this one than the first one they brought out as I find this does remove any oils from my hair and it does exactly what it claims to do. Yes it sprays out white but once you work it onto the scalp and hair well it disappears. However I wouldn't use this as a dry shampoo anymore for the reason being that it's created to give volume and thats why it leaves hair feeling stiff. 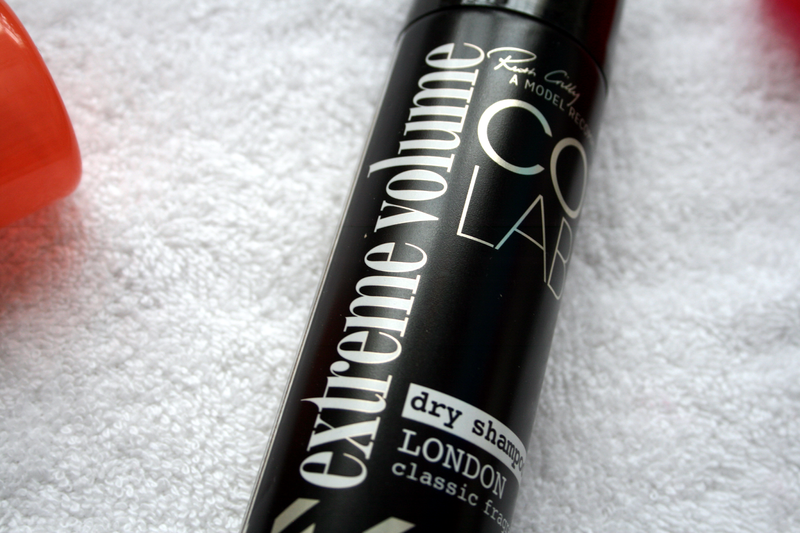 Have you tried the Extreme Volume edition or the normal one? Which do you prefer?